Are you threatening me Master Skeptic? Re: They found water on mars. That made me Laugh Pretty hard... Good One!! Mastermind, the bloodhound of humor. I thought someone was going to post this pic, which shows that they really did find water on Mars. Kinda forgot we're in the humor section I guess. 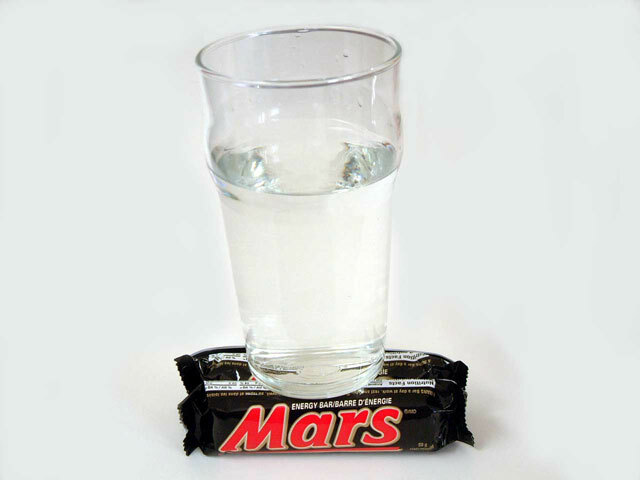 Felgar wrote: I thought someone was going to post this pic, which shows that they really did find water on Mars. Kinda forgot we're in the humor section I guess. Is that bad? Finding water, liquid/frozen/evaporated, on Mars? What does this prove and/or disprove? Also, the other well known one, organic chemicals=life, that's my favorite, especially when those organic chemicals are formaldeyhyde and cyanide (when the experiment is done with a more realistic atmosphere). Thinker wrote: Is that bad? Finding water, liquid/frozen/evaporated, on Mars? What does this prove and/or disprove? Well it lends some credibility to the ideas that Mars once had an abundance of water and also that maybe the water on Earth and Mars was delivered by comet collisions during the formation of the solar system. All of that is quite speculative though. The more immediate consequence is that with water available as a resource it makes sending people there much more feasible. An outpost would be able to drink it, grow plants with it, etc and you could sustain a presence for an extended period of time. Also you can then make liquid hydrogen and oxygen fuel for rockets used to launch you back off the planet... Carrying enough fuel with you all that ways to land and then take back off would clearly be much more difficult. Personally I find space in general very fascinating and I'm always hoping for continued advancement.